Pointe shoes are expensive, and they don't last very long. Every ballet dancer would love to find a foolproof way to make their pointe shoes last longer. Considering that a single pair of pointe shoes can cost almost $100, frequently replacing pointe shoes can become very expensive. Did you know that professional ballet dancers can wear out a pair of pointe shoes during a single ballet performance? Student dancers may not wear them out that quickly, but needing new pointe shoes every two or three weeks is not that uncommon. Why do pointe shoes have such short lifespans? Pointe shoes tend to wear out quickly because they are usually made with natural materials. Your feet sweat a lot while dancing en pointe, and your pointe shoes tend to soak up the sweat and become soft. The pointe shoe box softens under the heat and pressure produced by your feet. The two most important factors that determine the lifespan of a pointe shoe are the shank and the box. Shank: The shank is a piece of rigid material that provides support for the arch of the foot while en pointe. Over time, the shank weakens and becomes too soft to provide support for the dancer. Box: The box is a hard, flat enclosure covered in satin that supports the dancer's toes. Over time, the box becomes too soft to support the dancer's weight. Before discussing any methods for rehardening your pointe shoes, it is important to understand the importance of two simple maintenance techniques. Drying: After wearing your pointe shoes, never throw them into your dance bag. Instead, take them off and remove all padding. Take a plastic grocery bag stuffed with wadded newspaper and stuff it into the box. This will help your shoes dry quickly while keeping the moisture away from your shoes. Rotating: Make sure to rotate at least two pairs of pointe shoes. After wearing one pair of pointe shoes one day, allow them to dry for a full day before wearing them again. This single strategy could easily extend the lifetime of your pointe shoes by 50%. Polyurethane (Shellac): Sweat and moisture make pointe shoes break down. Applying polyurethane will make them somewhat waterproof, plus harden the box. Pour a small amount of polyurethane into the box of the pointe shoes, just covering the inside of the platform. Using a paintbrush, quickly smooth the mixture around the inside of the box. Allow the shoes to dry completely, at least 48 hours, before wearing. 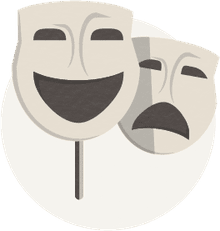 Super Glue (Jet Glue): The product known as Jet Glue is used by many dancers for rehardening pointe shoes, but some dancers simply use super glue. Squeeze a few drops of glue into the box and swirl around quickly. Apply a few drops along the shank. Work quickly because the glue will dry fast. Allow the glue to dry completely before wearing, at least 24-48 hours. Floor Wax (Future): Preheat your oven to 200 degrees. Using a small brush, apply a small amount of floor wax to the inside the boxes of your shoes. Turn the oven off and put pointe shoes inside. Do not remove them until the next day. The wax will form a plastic coating inside the box. Different brands of pointe shoes are made with different materials. 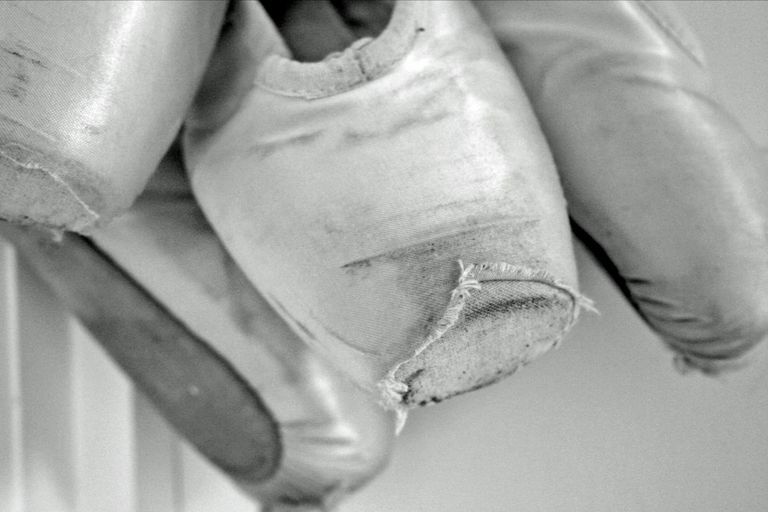 Rehardening methods that work well for some pointe shoes may not work as well on others. Be sure to check the manufacturer's recommendations before trying any of the methods mentioned above. Always use caution when working with chemicals. Some dancers may develop skin reactions when coming into contact with certain products. Always protect surrounding surfaces to prevent accidental damage. How Do You Repair Skate Shoes?